The sacred island of the ancient times is located 6 n.m. southwest of Mykonos. The golden city with the columns, the mosaics, the statues, the palaestrae, the ancient theatre and the bygone wealthy districts came to light again in 1873, after the excavations of the French Archaeological School of Athens. 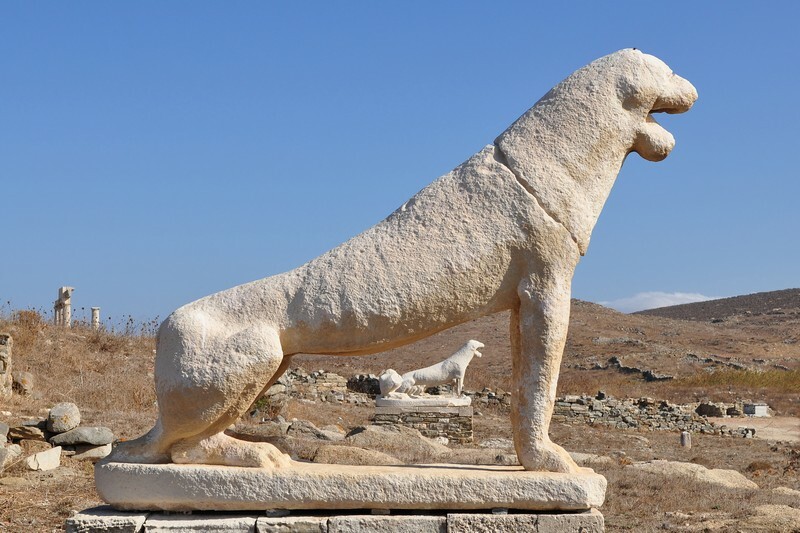 In 1990 Delos was declared a monument of global cultural heritage by UNESCO. 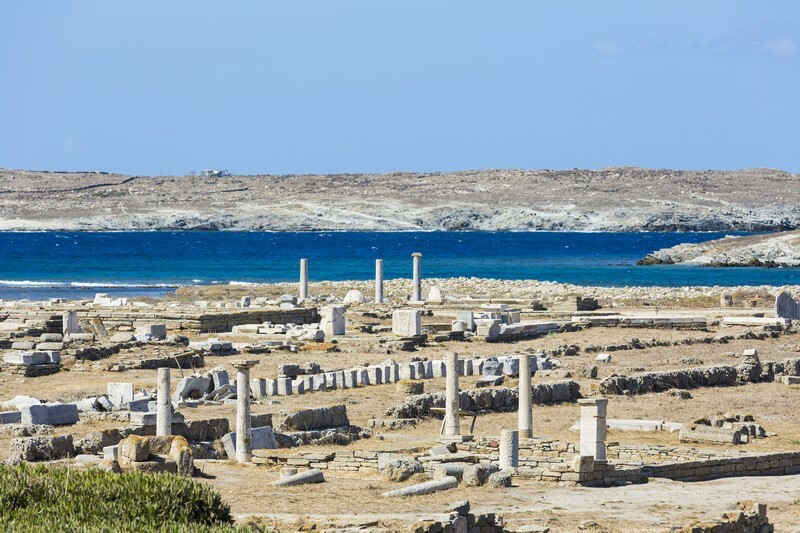 Today, in the archaeological site of Delos one will see Arcades, Markets, worship centers and temples as that of Apollo, of Artemis, of Leto, of the Athenians etc. You will also see the avenue of Lions and the Theatre district with the ancient theatre from the 3rd century BC. 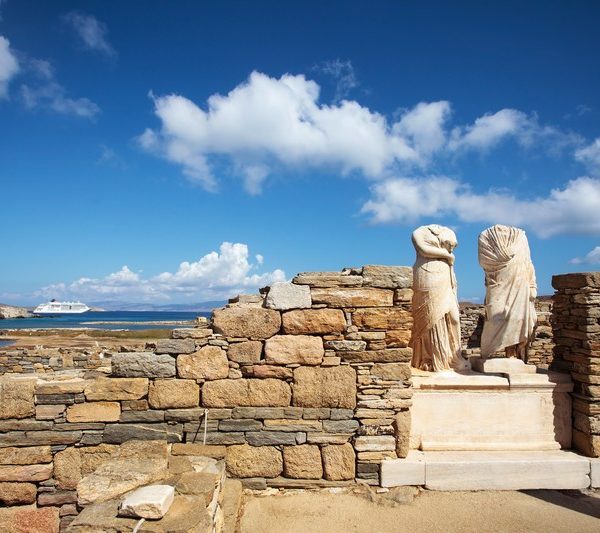 Info You can access Delos by tourist boats that depart daily at 09:00, at 10:00, at 11:00 and at 17:00 from the port of Gialos, next to the church of Aghios Nikolaos.